Signed on a 1939-40 OPC card that was affixed to a red background. The presentation resembles a Group II Beehive but it is not. The # 35 coinciding with Smith's OPC card number was written in the bottom corner. This piece came from a collection of 60 such signatures obtained by a gentleman in the 1940's . 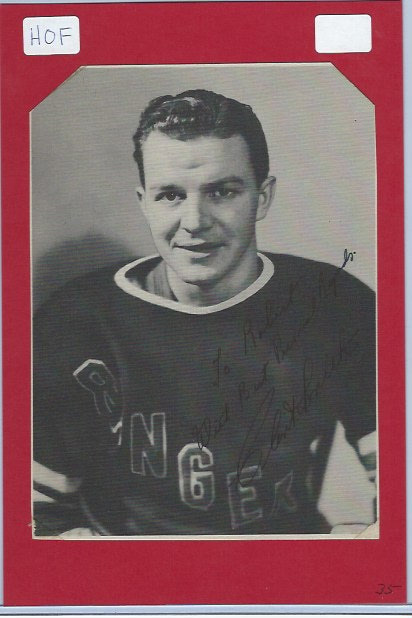 All the signatures were done on 1939-40 OPC cards then affixed as such. He likely used the look of the Beehives as a presentation idea. 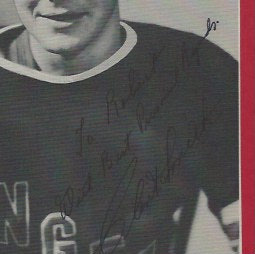 This particular autograph has the inscription " To Robert with Best Personal Regards, Clint Smith".